I recently washed one of my YN568EXii in sea water. It made a pop sound, gave some smoke and so I removed batteries. I opened it up after I reached home and i see that there's one capacitor blown up. There's no other visible damage. I cleaned the insides. Thing still boots up but that cap doesn't like it and pops. 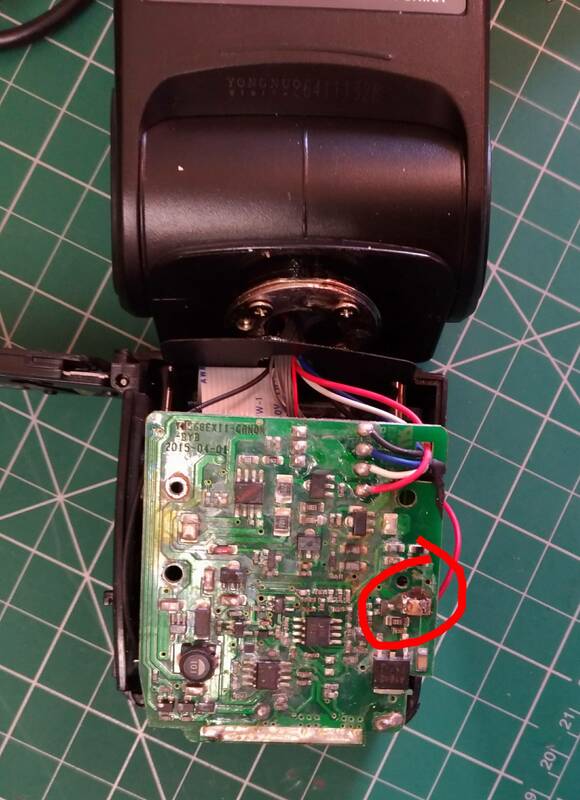 Can anyone tell me what capacitor was in this spot? Or is there a schematic available? Or is this pcb spare available? Browse other questions tagged yongnuo or ask your own question.